Manchester City celebrate after winning the 2017-18 Premier League title. Will they defend it? Tottenham must confirm by Friday whether they will need to use Wembley – their home ground for 2017-18 – for any games next season. 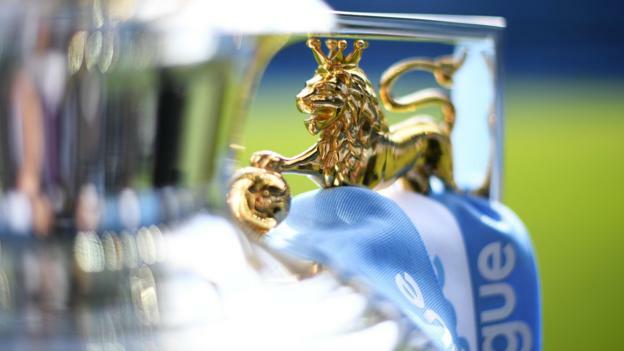 Four rounds of Premier League fixtures are scheduled to be played before the first international break, which is over the weekend of 8 and 9 September. The league resumes on 15 September, before the Champions League group stage begins on September 18. Full fixtures for all three divisions of the English Football League will be announced the following week, on Thursday, 21 June.